Video games are always a hot item for most people on their wish lists at the holidays time. I have some great games for children to feature today and there will be TWO great giveaways so that TWO people can have a chance to try them in their own homes and have hours of fun with their children playing them! Check out the 2nd video games giveaway here. In Disney Epic Mickey 2: The Power of Two, gamers will play as Mickey Mouse and for the first time ever, Oswald the Lucky Rabbit, Walt Disney’s first cartoon star, in an all-new adventure in Wasteland, an alternate world filled with 80 years of forgotten Disney characters and theme park attractions. In this adventure of creativity and discovery, players will experience how PlayStyle Matters – a unique approach to gameplay where players dynamically tackle different challenges in order to explore all possibilities and storylines, but with consequences for their chosen actions. Brave: The Video Game, players will be able to challenge destiny and change their fate, while playing as Merida – voiced by the film’s lead actress Kelly Macdonald. Players can run, jump and battle their way through the rugged landscape of mythical Scotland while utilizing their wits and bravery, players will face off against fierce enemies to end a magical curse and save the kingdom. 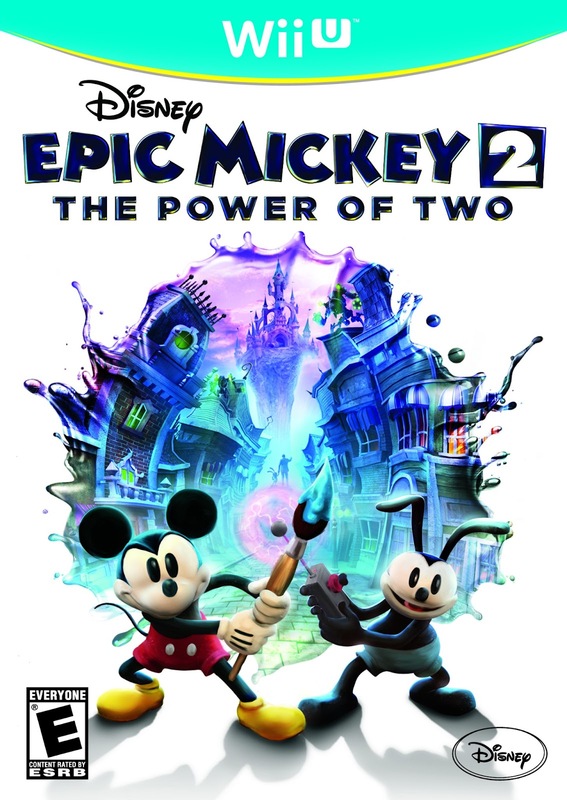 Win It: (1) Brave: The Video Game (you can choose from these systems: Wii, Xbox 360, PS3, Nintendo DS, PC, Mac) and Disney Epic Mickey 2: The Power of Two (you can choose from these systems: Wii, Xbox 360, PS3, Wii U) to a lucky winner!